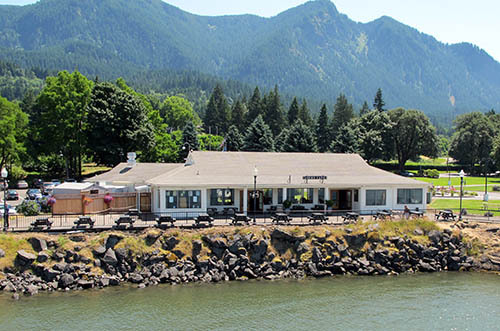 The Locks Waterfront Grill is part of the Visitors’ Center in Marine Park, Port of Cascade Locks off Highway 84 at exit 44. Our menu by chef Mike Conklin features fresh, local and organic selections including fresh cut french fries, fish and chips, Painted Hills Organic ground beef burgers and much more prepared in our state of the art kitchen. The Grill operates full time with expanded waterfront seating directly overlooking the Columbia River and plenty of free parking for all. 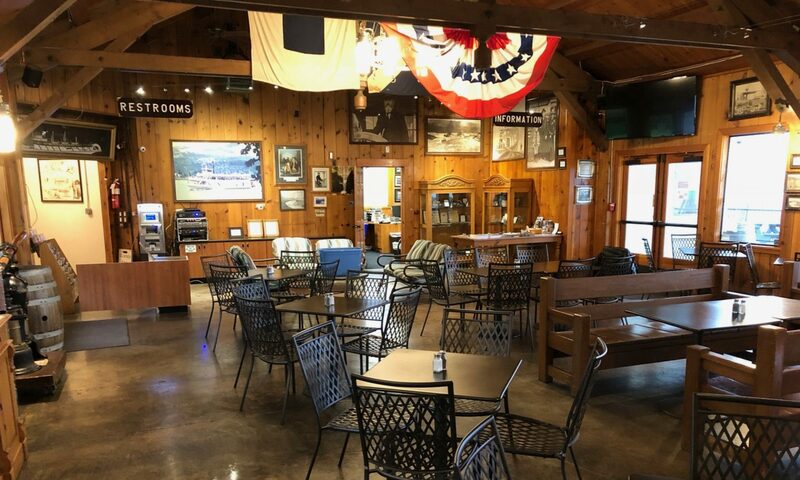 The Visitors Center is packed with information and history about the Cascade Locks, the Columbia Gorge and activities available to you during your visit. 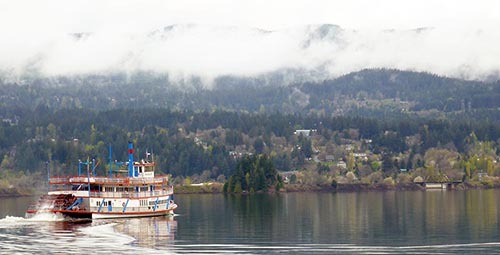 The Columbia Gorge Sternwheeler Vessel boards at the Visitors Center, and we have an extensive Gift Shop full of arts, crafts, literature, and food from the Pacific Northwest.